It’s not often that a vampire flick these days really brings something fresh to the table. And, would you believe this one comes from none other than Neil Jordan, whose adaptation of Interview With The Vampire arguably kicked off the current modern vampire cycle in 1994. 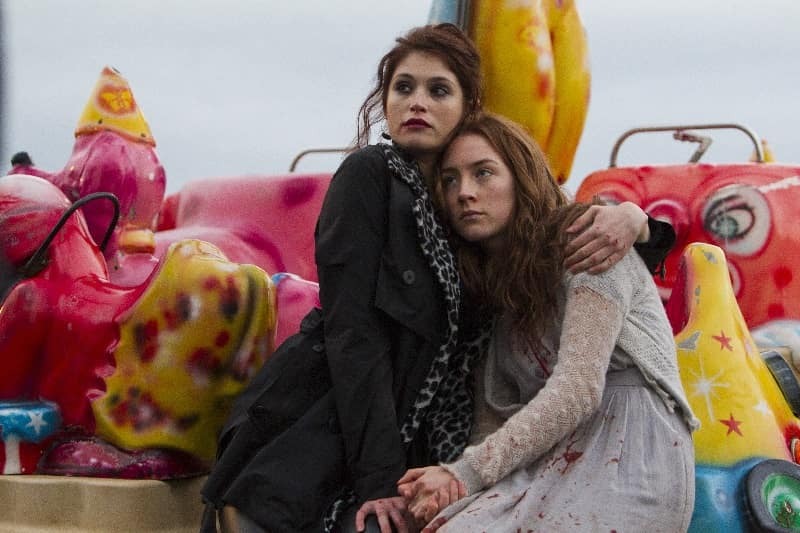 Unlike your more typical vampires, Clara (Gemma Arterton) and Eleanor (Saoirse Ronan) are more precisely Soucouyants. In Caribbean folklore they are believed to travel in the form of a fireball and practice voodoo, witchcraft and suchlike. In Byzantium’s incarnation, they have a fingernail which protudes and sharpens at will, enabling them to slit an artery on their victim and lap at their blood. Mother Clara has grown to be somewhat ruthless, doing whatever she has to do in order to ensure the survival of herself and her daughter, working as a lap dancer and prostitute, and feeding on others as she needs to. Eleanor, on the other hand has a conscience about her source of sustenance, only drinking from those whose time to die has already come. Like an angel of death, we see her feed from a man who no longer wishes to live, and a hospital patient who appears to be terminally ill.
After they arrive in town, Clara gets befriended by Noel, who looks likely to be a victim until Clara sees a possible source of income from the defunct hotel he lives in. Meanwhile, Eleanor strikes up a friendship with a waiter, Frank. Finding herself falling for him, and tired of keeping her real life story a secret, she reveals the truth about herself. Frank reveals to her that he is in remission from Leukaemia. For me, this was a very welcome return to the genre for Neil Jordan. His early work made a real impression on me as a fledgling film buff in the 1980’s, and there are moments when Byzantium recalls those films, generating the same feeling I got watching The Company Of Wolves, Angel and Mona Lisa all those years ago, whilst the use of the seaside resort setting (in this case Hastings) brings to mind 1991’s lesser known The Miracle. What we end up with is almost two films rolled into one, running side by side, their respective tales complimenting and shining light on each other. To describe this as a kind of English/Irish Let The Right One In would be doing it a disservice, but it does share that film’s playfulness and its intelligent and left field approach to the subject. If the ending is a little predictable as it approaches, it really doesn’t matter because the film ends just the way you want it to. By turns brutal, poetic, thoughtful, and beautifully photographed by Sean Bobbitt, Byzantium is (in this writer’s opinion) one of the more refreshing vampire entries of the 21st century. 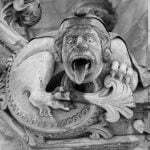 One particular scene where the protagonists are seen enjoying a bit of Hammer horror is an especially nice touch, as is a reference at one point to J. Sheridan LeFanu.